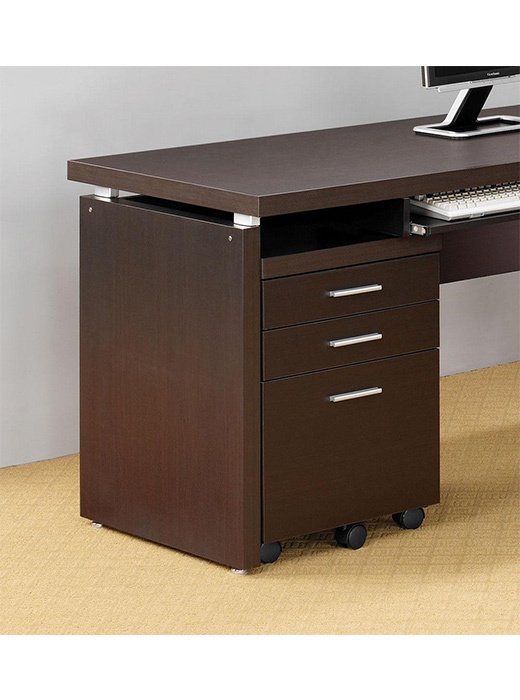 A pullout keyboard drawer adds computer-ready convenience to the left side of the desk. 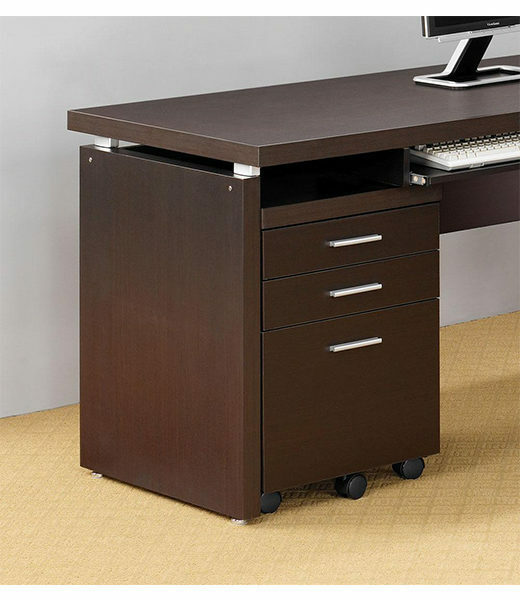 Silver accent feet and legs on desks. 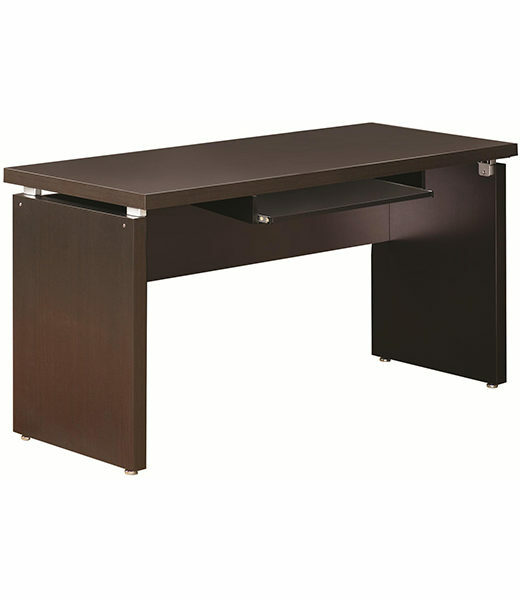 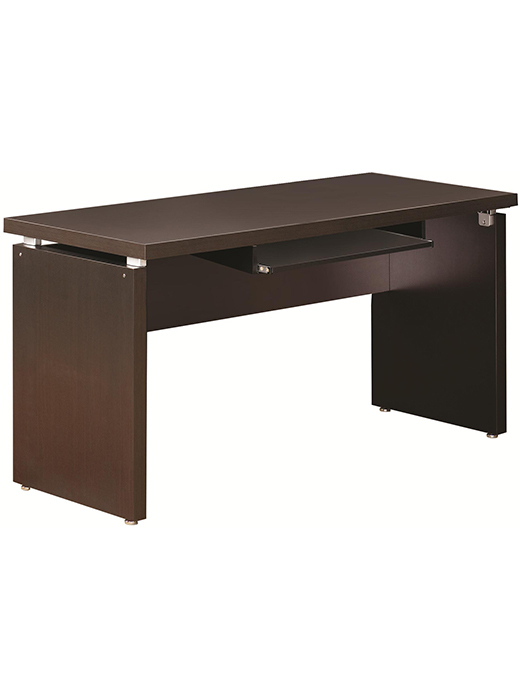 Sleek, rectangular desk surfaces provide ample workspace.